A college dropout and her "professional road-trip copilot" must survive a hungry bear after their car goes into a ditch. 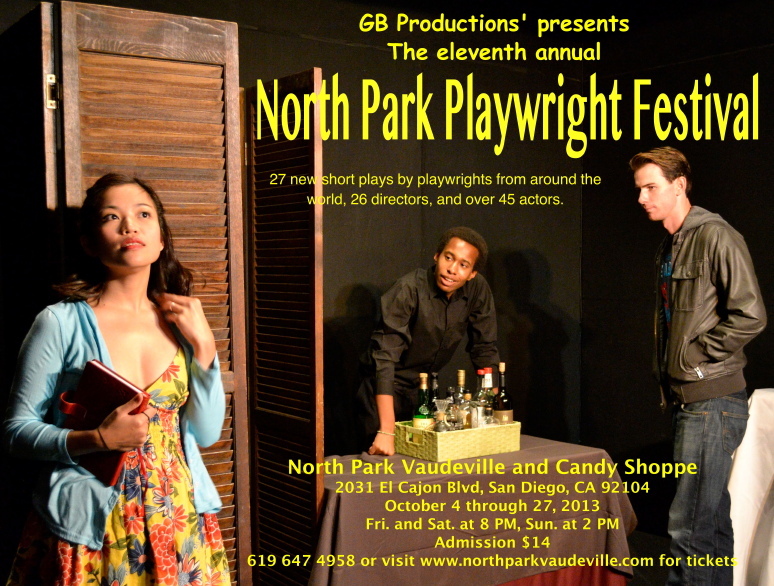 The CoPilot premiered at the North Park Playwright Festival in San Diego, October 2013. Janet - Brittanie Hitchcock, Randy - Adam Sheldon. Directed by Christine McCoy. The CoPilot started out in a workshop at the Last Frontier Theatre Conference, where we were prompted by suggestions for an "interesting profession". I was given: professional road trip copilot, and this idea took off. In the play, Janet, a nineteen year old college drop out, is heading home to her parents after failing every single course, unsure of how to break the news to them. To make it through the all-night drive, she's hired professional road trip co-pilot Randy, a 50 year old guy, divorced, missing his daughter. 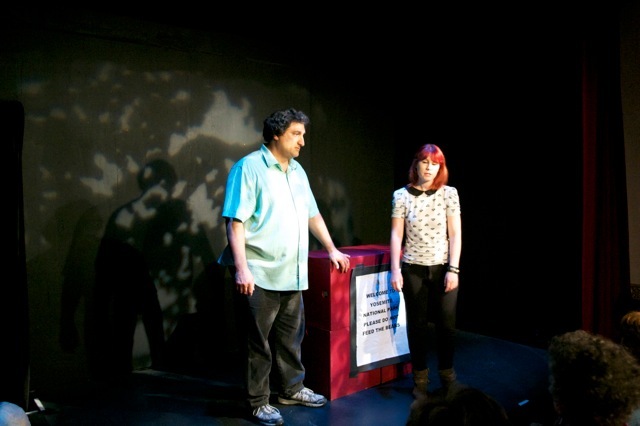 The play starts after her car has driven into a ditch, and they find themselves stranded on the side of the road near Yosemite, right by a sign saying "Do Not Feed the Bears". Yes, they do end up on the sign, listening to an angry bear and gradually forming an unlikely friendship. It's a sweet, funny little play. This one is available for production from the playwright.